Pew, la pieuvre qui n’aime pas la pêche ! Dans le prolongement du rapport « Blue Charity Business » publié en novembre 2012, Alain Le Sann du Collectif Pêche et Développement analyse le rôle déterminant de la fondation étatsunienne Pew dans les orientations de la politique des pêches aux USA. En découvrant notre rapport « Blue Charity Business » de nombreux lecteurs nous ont reprochés de propager une théorie du complot. Pour nous, il ne s’agit pas de cela, mais d’une stratégie extrêmement coordonnée et planifiée, mobilisant une multitude d’acteurs avec des moyens financiers considérables, en vue d’obtenir des résultats précis. Une véritable stratégie d’entreprise, totalement assumée et revendiquée par ses promoteurs et absolument transparente pour qui sait s’informer, nous sommes loin du complot. Les acteurs mobilisés ne sont d’ailleurs pas tous sur la même ligne comme de braves soldats. Il y a des débats très durs entre scientifiques, entre ONGE, mais ils reçoivent des financements s’ils sont utiles à la réalisation des objectifs programmés par les planificateurs et les stratèges. Dans cette fonction de stratège, la fondation Pew a joué, et joue encore, un rôle majeur, même si elle loin d’être la seule. Au début des années 1990, elle a décidé de mobiliser une bonne partie de ses moyens financiers considérables pour défendre les océans, en s’attaquant surtout à la pêche, à un moment où les signes d’une crise grave étaient évidents avec la fermeture de la pêche à la morue. Ce faisant, elle a dynamisé un mouvement né au sein des organisations conservationnistes américaines. NB : Quand Alain Le Sann parle de "sommes considérables", il faut convertir en dizaines voire en centaines de millions de US$. La Fondation PEW dispose actuellement d'un capital de 5 milliards de US$ !!! Blue charity business. OPA sur l'image de la pêche artisanale ! Ocean 2012 : Une ONG, çà trompe énormément ! Européens, Européennes... L'UE veut privatiser notre poisson ! Annonce : Fin de la surpêche ! The American NGO Pew Charitable Trusts is spending millions of dollars financing NGOs that deal with marine conservation by coming into public and legal conflicts with the American fishing industry and management, reports Menakhem Ben-Yami. ‘The Pew’ originates from donations by the Pew family, an oil industry tycoon. 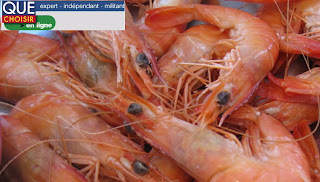 Many American fishermen have been vocal in their suspicions about ideas and actions coming from that direction, claiming first that it's focusing on fisheries to avert public and political attention from industrial pollution, extraction of oil and minerals from the ocean and associated deterioration and destruction of coastal habitats; secondly that all the Pew and other NGOs conservationist crusades promote privatisation of fishery resources, through ‘catch shares’ or tradable quotas (ITQ, IFQ), relocating fishing rights from small-scale fishermen and their businesses to large owners and corporate interests. More recently, it seems, the Pew and the NGOs it finances have discovered Europe. According to "BLUE CHARITY BUSINESS”, a report published by the French NGO Collectif Peche and Development (CPD), environmental NGOs, which are currently lobbying in Brussels in the current discussion about the reform of European Common Fisheries Policy, are among those who receive "millions of pounds donated via charitable trusts, funded by huge corporations that might just have a vested interest in swaying public opinion away from fishermen"
According to anthropologist Dr Mac Chapin, director, Center for the Support of Native Lands, who has worked with indigenous peoples of the South for over 40 years, corporate and government money ﬂow into three big international organisations that dominate the world’s conservation agenda, their programs have been marked by growing conﬂicts of interest with indigenous peoples. Dr Chapin believes that the involvement of corporate and multilateral donors limits the ability of small, independent NGOs' and local organisations to support indigenous peoples versus governmental and corporate infringements into their traditional territories. He also argues that these problems are not merely economic, for senior officials in many of the large NGOs now view indigenous peoples as ‘obstacles to effective conservation’. According to CPD secretary Alain le Sann, such environmentalist, sometimes violent, pressure as in the global South is taking now place in Europe. It is aimed initially at weakening of the hold of fishermen on marine space, then to reallocate it away of them to other interests, such as ‘impatient’ conservationists and corporate interests controlling mineral extraction, energy, tourism, aquaculture, etc. To impose their wishes, the conservationists, who serve those interests, play on the sensitivity of public opinion to alarmist and catastrophist propaganda creating and directing public wrath to coastal fishermen. Recently, the Pew Foundation has joined the Adessium Foundation, Sommerville College, and Oceans 5 (a coalition of charitable foundations including OAK, WAITT, Marisla, Moore, Planet Heritage) to form the Global Ocean Commission, a private interest coalition aimed at regulating oceans. It has a strong presence in Europe and France through its own NGO (Pew Environmental Group), other NGOs that it has created, and NGO coalitions it has initiated and is steering. 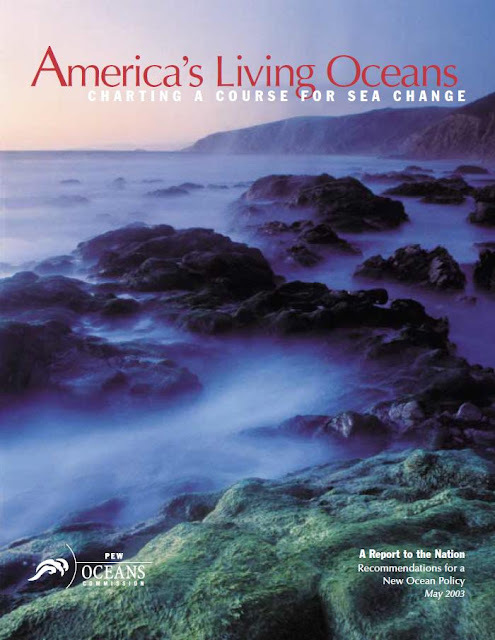 The push came with establishment of the Pew Ocean Commission in the USA some 10 years ago. 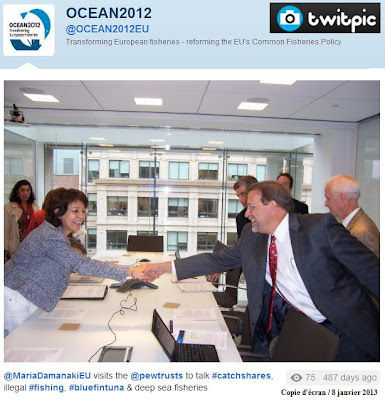 The Ocean Commission, initially private, was later taken up by the US government and always piloted by high profile individuals (Leon Paneta who later became Director of the CIA under Obama-1 and Defense Secretary General under Obama-2), or linked to Pew during their career (e.g. Jane Lubchenco the now resigning head of NOAA). For example, in a recent WWF study, funded by the Moore, the Walton Family (Walmart), and Packard foundations, the authors argue, quite contrary to the feelings of the people concerned, that well designed marine protected areas closed to fishing (MPAs) help to fight poverty. It seems to be Pew's strategy to ‘help’ governments with MPAs. In the case of France, its promotion of the "Grenelle de la Mer" approach regarding MPAs. For its project in the French outermost waters, Pew has recruited a French specialist, Jean-Paul Michel. Evidently, some Europeans think that those NGOs are acting for American maritime interests. The private project Global Ocean Commission (GOC) officially launched last February says that one of the main threats to oceans is overfishing, which exacerbates climate (yes! ), implying that offshore oil and gas production, marine mineral extraction, and offshore wind farms are considered by GOC sustainable uses. Oceans without fishermen? – asks Alain le Sann. The French Le Monde and British The Guardian appeared concurrently with the formal launch of GOC, apparently as the result of efforts by Communications Inc., a firm specialising in communication programs for marine conservation in Europe, with Pew its regular customer that in 2010 paid it US$1.14m. Its clients include at least eight major, some with worldwide presence, conservation organisations. The Guardian on 9 February wrote: “David Miliband to head global fight to prevent eco-disaster in oceans". Callum Roberts, who also in The Guardian(10 February) promotes GOC by writing: “The high seas are too precious to be left to plunderers and polluters”. Le Mondeon 11 Feb wrote: “The UN focuses on the protection of the High Seas, the last Wild West”. A question should be asked as to what GOC wants the EU to do, if anything, about the chemical industries, refineries, oil-powered power plants, and other heavy industries, as well as ships and urban areas that discharge pollution and litter into sea and rivers, as well as such upstream polluting activities as logging and pulp industries? How about oil spill prevention from oil rigs, and strict observation of double-bottom construction of all tanker ships? Or, for example, marine areas closed to tanker shipping? Will GOC take specific action to save "the Last Wild West" from all those and thus "prevent eco-disasters in oceans"? Or will they take the easy road and keep using fishermen as a scapegoat ? Admettons que ce vous dites est vrai. Et alors ? Ca n'empêchera personne d'être d'accord avec des gens qui demandent l'interdiction des rejets en mer. Ca n'empêchera personne d'être d'accord avec des gens qui demandent que les ressources soient exploitées avec un rendement maximal durable. Encore une fois, quand on n'est pas d'accord avec le contenu d'un message, il est plus facile de s'attaquer à celui qui le porte que d'essayer d'en proposer un autre. Comment peut-on prétendre préserver les poissons juvéniles avec des tailles minimales de capture, quand on sait que les juvéniles rejetés en mer ne sont que des cadavres ambulants ? Comment peut-on prétendre limiter la mortalité par pêche avec des quotas, quand on sait qu'en l'absence d'interdiction des rejets cela conduit à rejeter des cadavres de poissons de haute valeur commerciale ? A la plupart des propositions faites pour remédier de façon efficace à ces anomalies de la réglementation actuelle, les pêcheurs, soutenus en grande partie par des élus politiques français, répondent qu'elles sont "irréalistes". Mais qu'est-ce que ça veut dire "irréaliste" ? Il n'y aurait pas assez de place à bord des navires pour ramener à terre les captures non désirées ? A cela, on peut répondre : il y en a donc tant que cela ? Et c'est justement la gêne occasionnée par la conservation de ces prises accessoires qui peut inciter les pêcheurs à ne pas s'attarder dans les zones où ces captures non souhaitables sont abondantes ! Il n'y aurait pas à terre de structures capables d'accueillir et de traiter ces captures supplémentaires ? Un peu comme l'argument qui disait qu'il ne pouvait y avoir en France de structures capable d'assurer le décorticage des coquilles Saint Jacques ! Si on s'oppose à la création ou au développement de ces structures, c'est sûr qu'il n'y en aura pas ! Mais le summum de la mauvaise foi a certainement été atteint par un groupe de scientifiques (évidemment insensible au lobby des pêcheurs !) qui prétend que l'interdiction de rejets ne changera rien à la préservation des ressources car "un poisson mort est un poisson mort, qu'il soit débarqué ou pas" ! 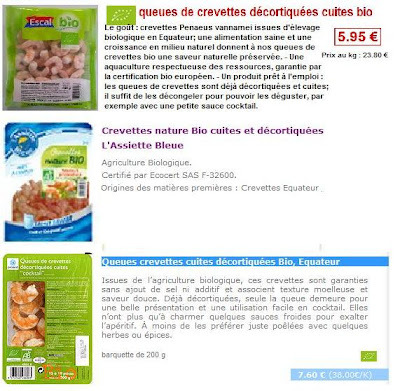 Ils ne savent pas, ces scientifiques, que tous les poissons débarqués seront déduits des quotas ? Vous ne trouvez rien à redire sur le récit historique d'Alain Le Sann !! !